Capacity is the maximum rate of output of a process or system. Accounting, finance, marketing, operations, purchasing, and human resources all need capacity information to make decisions. 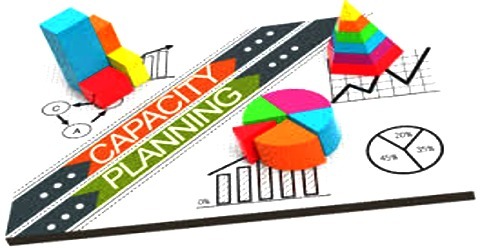 Capacity planning is the process of determining the production capacity needed by an organization to meet changing demands for its products. It is done in the long-term and the short-term. Capacity decisions should be linked to processes and supply chains throughout the organization. Important issues are competitive priorities, quality, and process design.